Partners Anshu Dua and Shiraz Noor had a vision for turning the flavors of their Indian heritage into a snack that would appeal to anyone wishing to add a a bit more spice to their life. The duo drew from the rich range of street-snacks served throughout South Asia to create a savory-yogurt with crispy, puffed toppings that captured both the spirit and name of the subcontinent’s favorite fresh-&-fast foods. Now they needed a campaign as bold and original as their product to capture the attention of their millennial peers and the rest of the planet. 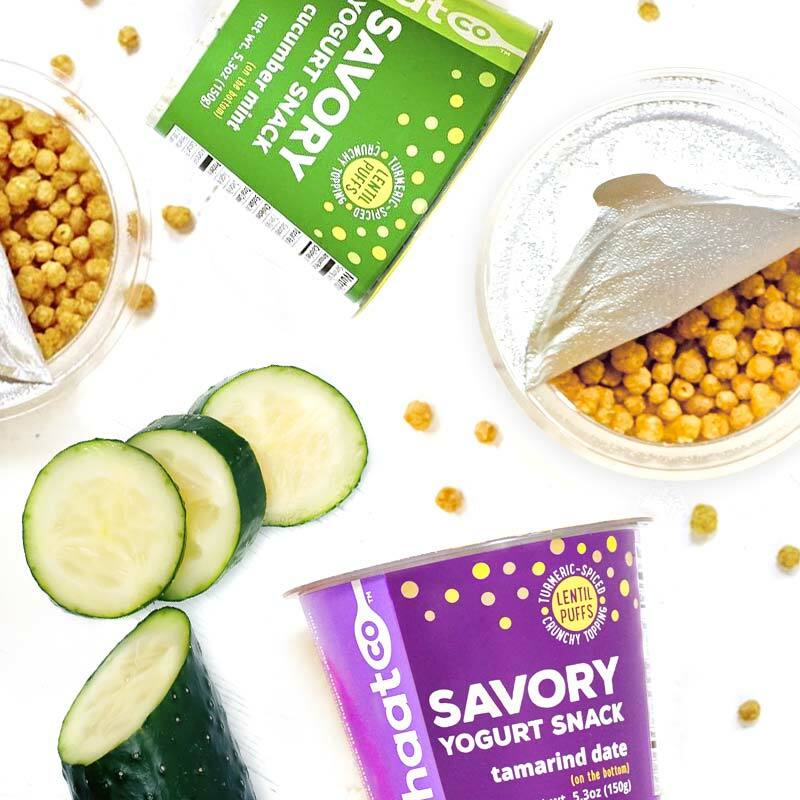 With flavor profiles as varied and vibrant as mango chili, cucumber mint, and tamarind date, the snack’s packaging needed to tap into the zest that gives Chaat its zing. 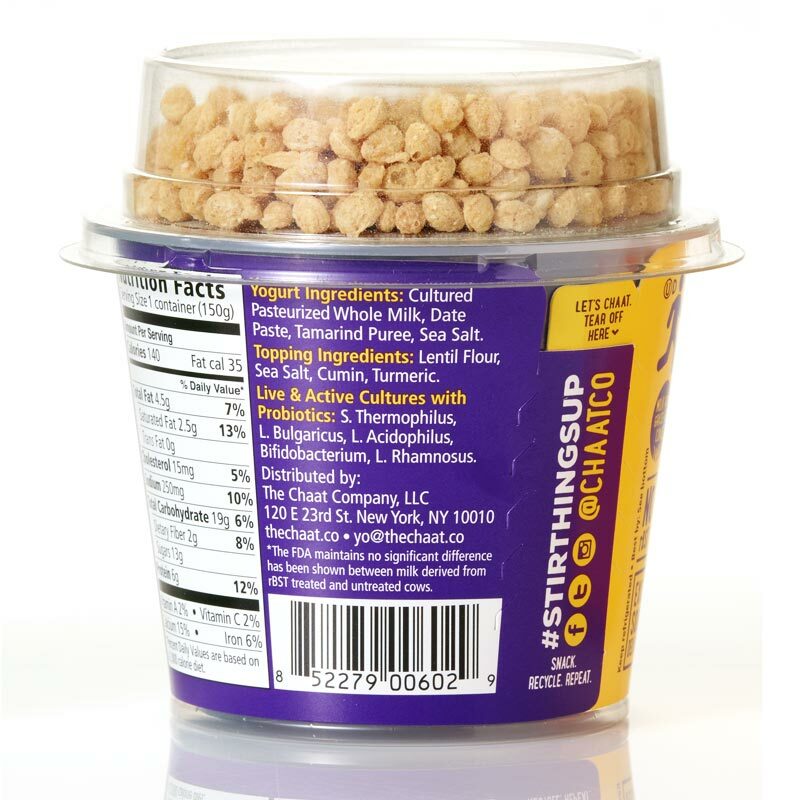 A brilliant palette was picked to color cups topped with clear caps featuring the snack’s signature topping. The puffs were echoed in a ring of polkadot accents that dance around each cup’s rim. 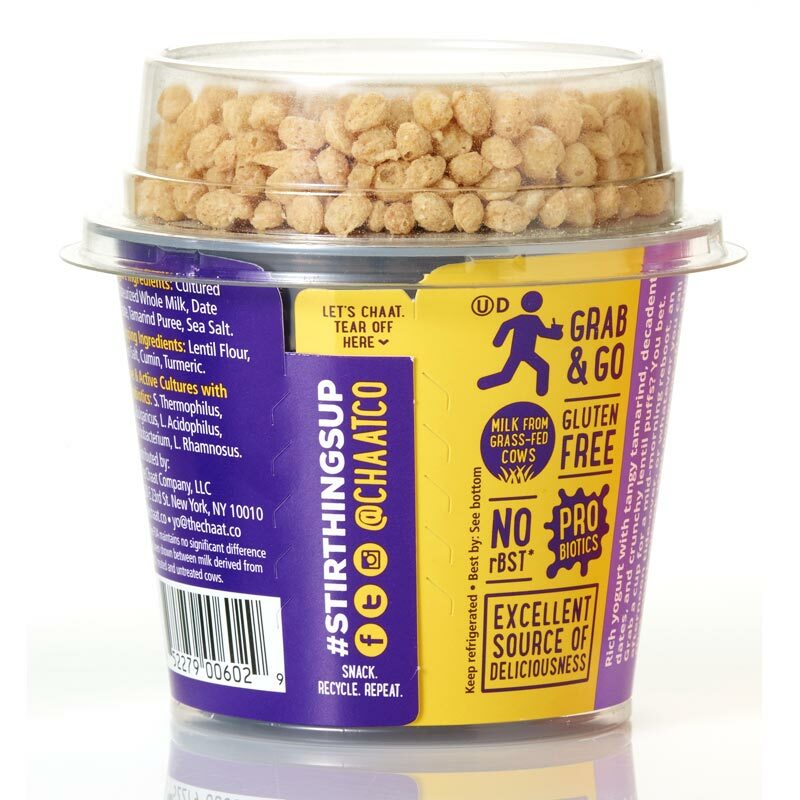 A clever social campaign was crafted to #stirthingsup on the web and drive traffic to a site that tied a hip taste sensation to its ageless Indian roots. 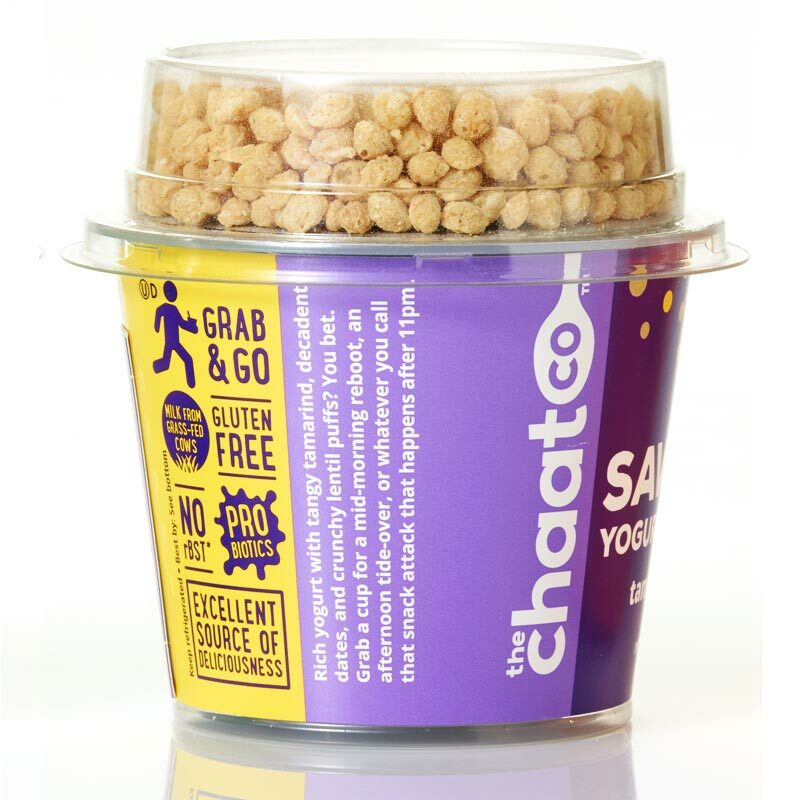 Chaat quickly established a Whole Foods foothold, and continues to build buzz in both the aisle and online. 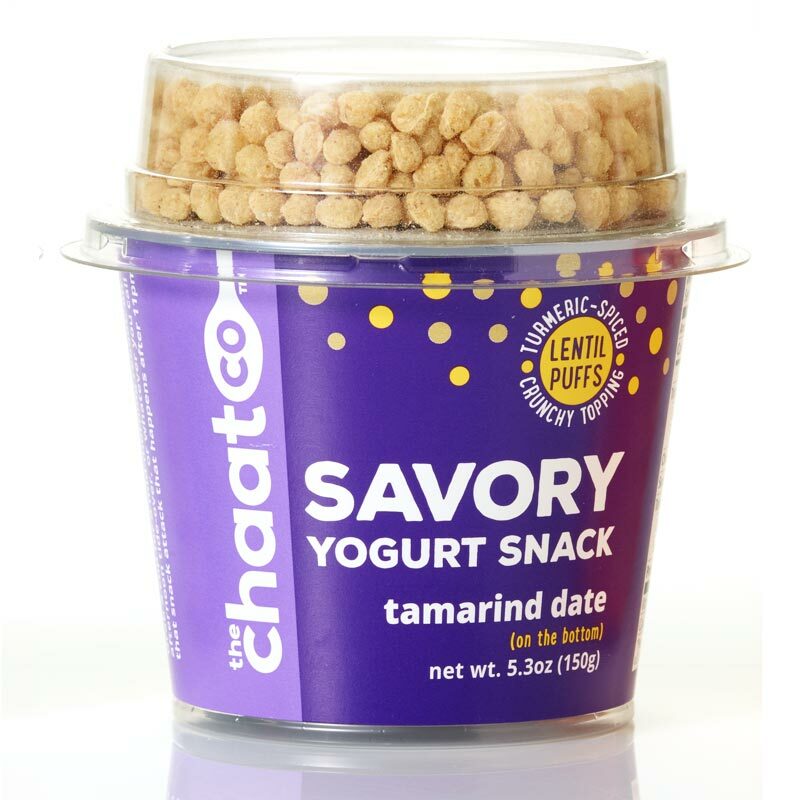 It scored a coveted “Nexty” nomination at the Natural Products Expo for an award designed to spotlight the most promising emerging brands. 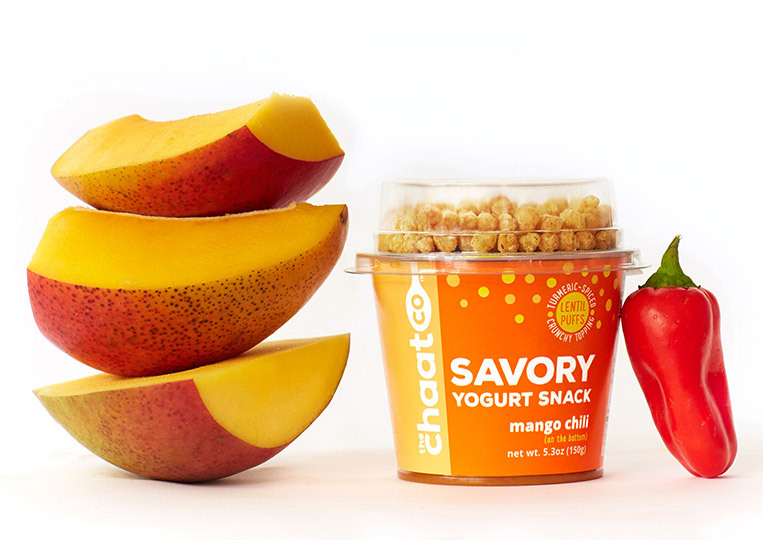 For Anshu and Shiraz, the future of their colorful savory yogurts looks very bright indeed.